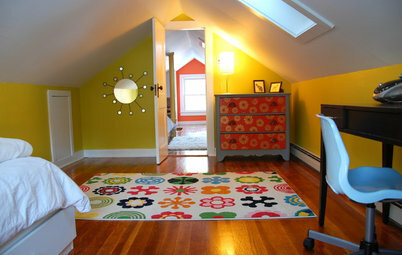 What Does Your Attic Want to Be When It Grows Up? 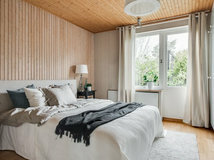 It often has a low, oddly shaped ceiling and all sorts of weird angles, but if you are lucky enough to have an attic, you might be looking at the best place to add a bedroom. 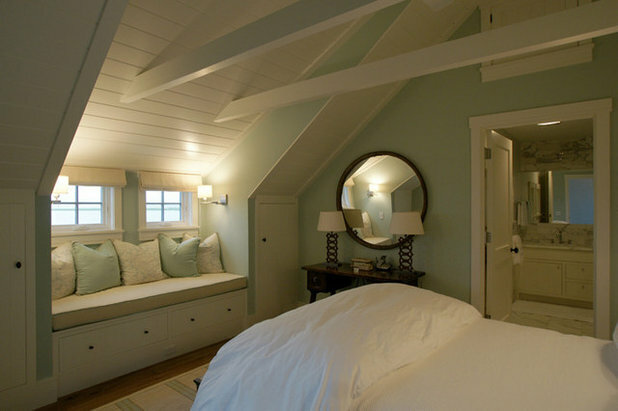 Attics are cozy and airy all at once. 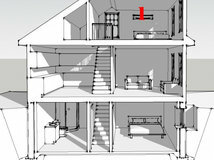 Warm (with all that heat rising) and private (you get the whole floor). Plus, there is something fun about escaping the monotony of the perfectly square room. 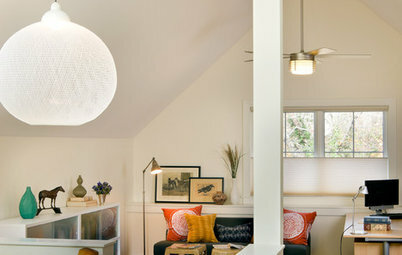 Nooks and crannies can inspire some of the most creative design ideas. 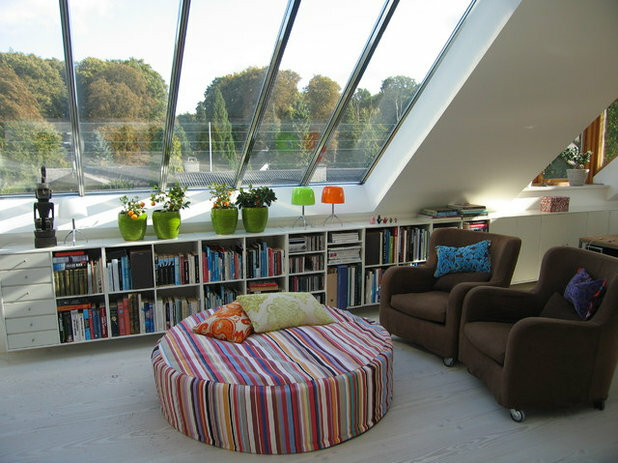 Skylights often come into play, as do white walls and floors. 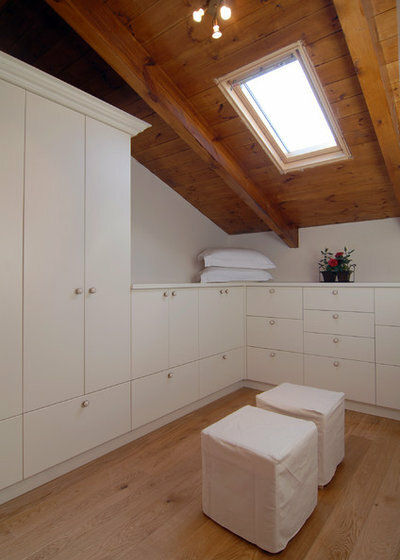 Built-ins help with space constraints, as do funny little closets and bathrooms that make use of seemingly impossible angles. 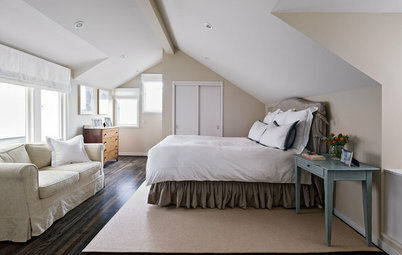 There is something undeniably romantic about an attic bedroom. 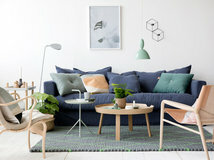 No matter what the style, it has an away-from-it-all feeling. 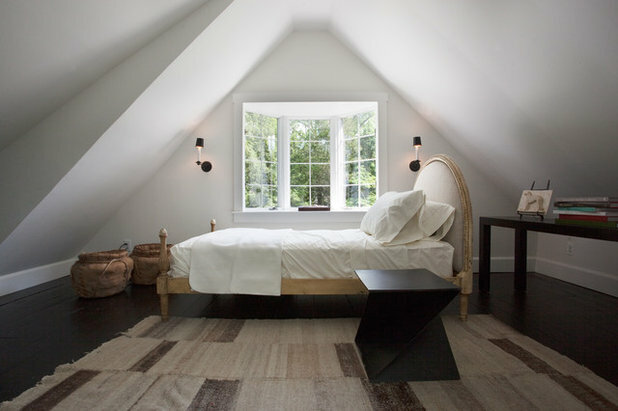 Even with a low ceiling, an attic room can feel open and airy. White paint helps a lot. So do built-in cabinets and drawers for hiding clutter. 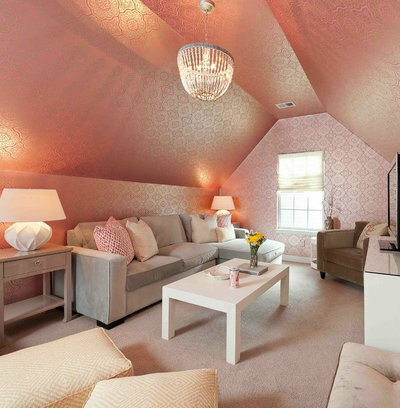 This feminine beauty uses the odd angles to their best advantage — the chandelier is hung to emphasize the height of the ceiling, while the space is kept cozy with low furniture, floor pillows and wallpaper that extends to every wall. White and bright. 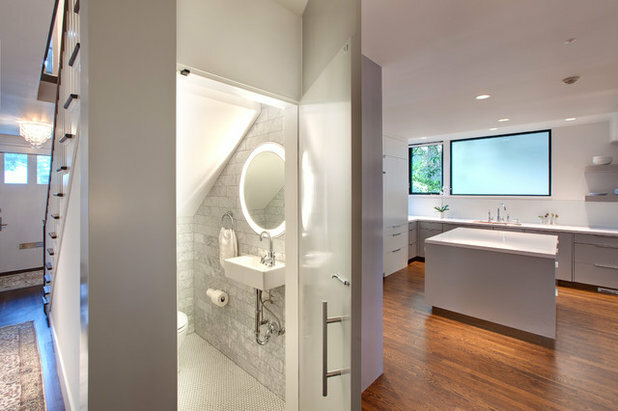 The skylight provides the sunlight, but the paint color provides the expansive feeling. 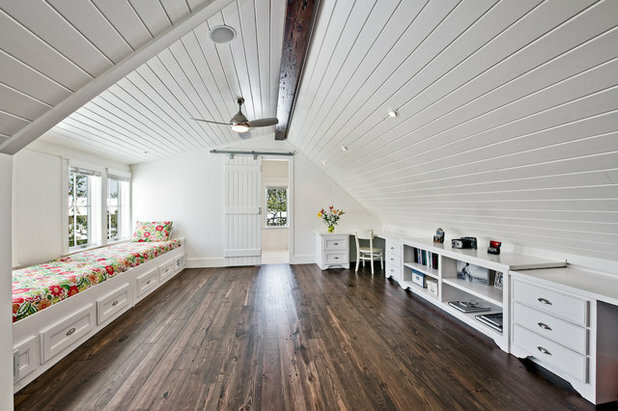 A white floor is an easy way to lighten a room while taking advantage of the beautiful texture of the original old wood. 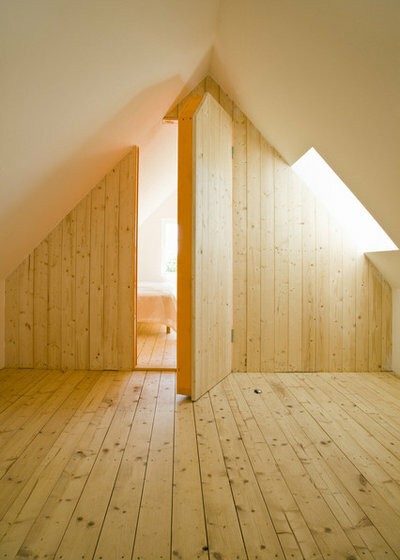 This saunalike wood paneling keeps the attic-y feeling while creating a fresh space. Just add furniture. White, white and more white and then one big splash of color. So simple and so elegant. You could have a lot of good dreams in this room. One accent wall of horizontal wood paneling accentuates the architecture in this weirdly shaped room but also keeps things simple and spare. Hey, if you've got it, flaunt it. 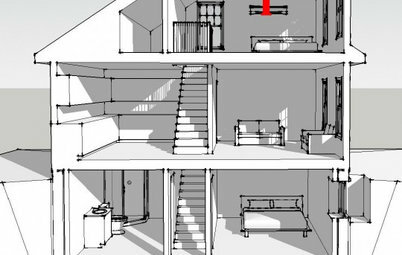 Take advantage of those odd pipes and chimneys that might need to pass through by incorporating them into the design. 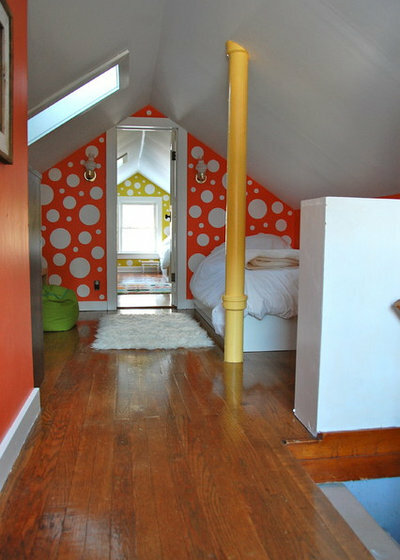 Painting this sewer pipe lemon yellow makes it a fun part of this bright, playful kids' room. If you're lying down, you don't need high ceilings. 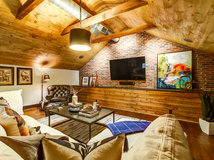 Emphasize the architecture with contrasting beams. This whole space has a slightly tropical, eclectic vibe that's really working for me. 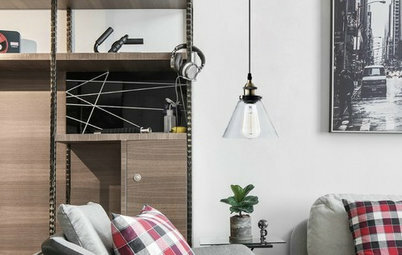 Use a strange little space for a cozy reading nook. 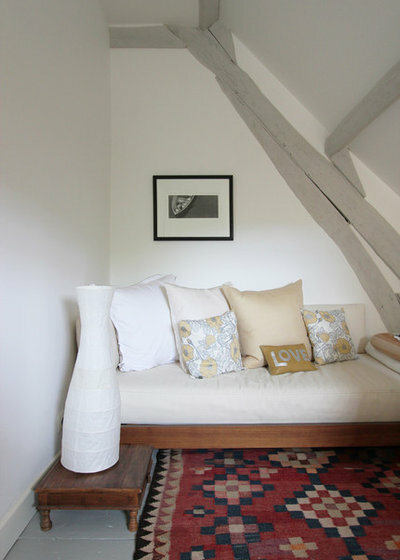 Sometimes sloping walls hide tiny spaces with low ceilings, perfect for a built-in kid's bed. This tiny WC under the stairs is a stroke of genius. A built-in bench with double-duty drawers underneath feels cozy and increases usable space. 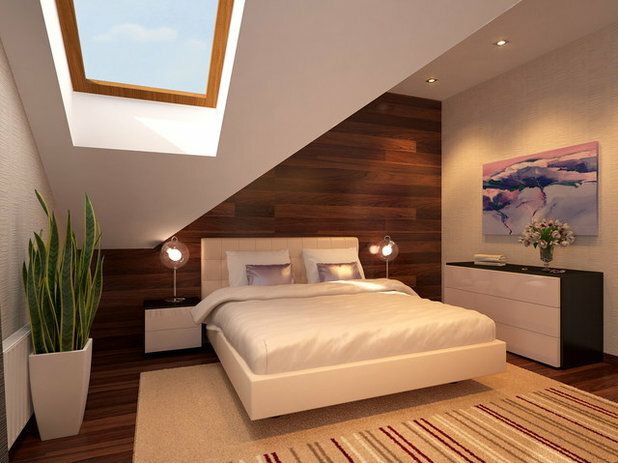 Skylights and built-ins — two of the best things you can put in your attic space. 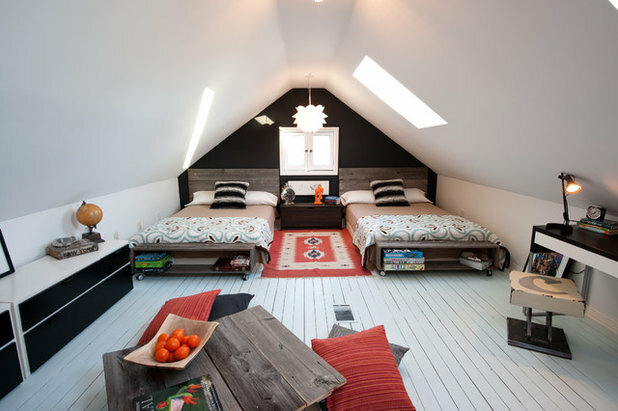 In this attic, half the roof became a skylight, making the room feel big and loftlike despite the low ceilings. 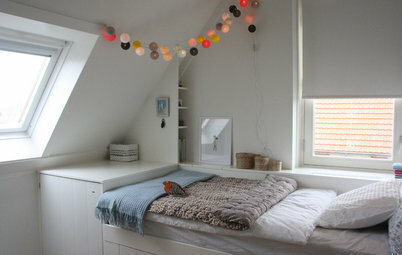 Nothing says cozy like an attic bedroom. Beautiful ideabook.